Views from every window! This approx. 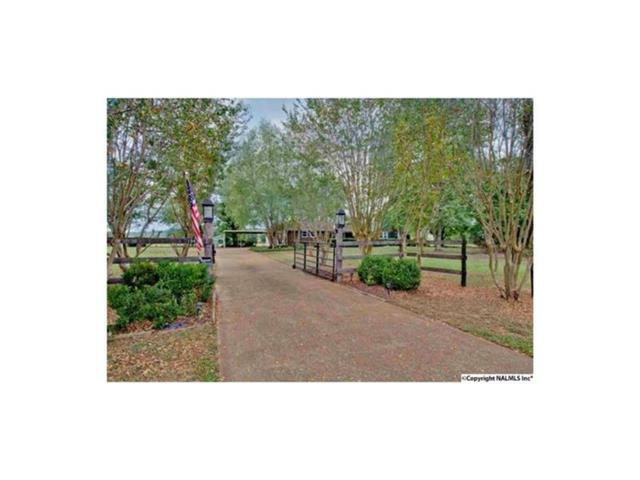 5 acre property has an an inviting ranch home and a 4 stall barn with tack and hay rooms, high tensile fence, a corral, 2 outdoor stalls, and a chicken coop. There are fruit trees and berry bushes. The house has a very open floor plan with the kitchen, dining, and family area all open to each other. The rec room has a 3/4 bath and could be an in-law or teen suite. The outdoor living space is extensive with covered patio and front porch and open deck area. New HVAC, gutters, and bedroom carpet in 2018. This is a country home that has easy access to Redstone and Research Park that you will enjoy for years to come. Put your feet up and move your horses in!